Sources: J. R. Graham and C. R. Harvey, "The Theory and Practice of Corporate Finance: Evidence from the Field," Journal of Financial Economics, May-June 2001, pp. 187-244; J. S. Moore and A. K. Reichert, "An Analysis of the Financial Management Techniques Currently Employed by Large U.S. Corporations," Journal of Business Finance and Accounting, Winter 1983, pp. 623-45; M. T. Stanley and S. R. Block, "A Survey of Multinational Capital Budgeting," The Financial Review, March 1984, pp. 36-51. Panel B of Table 9.6 summarizes the results of a 1999 survey of chief financial officers (CFOs) at both large and small firms in the United States. A total of 392 CFOs responded. 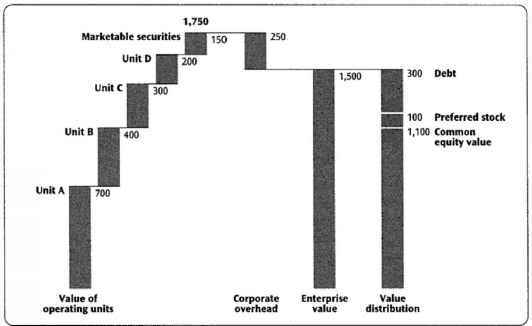 What is shown is the percentage of CFOs who always or almost always use the various capital budgeting techniques we described in this chapter. Not surprisingly, IRR and NPV are the two most widely used techniques, particularly at larger firms. However, over half of the respondents always, or almost always, use the payback criterion as well. In fact, among smaller firms, payback is used just about as much as NPV and IRR. Less commonly used are discounted payback, accounting rates of return, and the profitability index. For future reference, the various criteria we have discussed are summarized in Table 9.7.